Linda- 0-4-0ST - Built for Penhryn Quarries Main Line Date Built: 1893. Works No. 590. Linda is a 1ft 10¾" gauge 0-4-0 saddle tank locomotive, with inclined outside cylinders 10in x 12in and coupled wheels of 2ft 1in diameter. She was built by the Hunslet Engine Company Ltd of Leeds in 1883, "Linda" has always been one of the 'main-line' engines of the Penhryn Quarries Ltd. The main line ran from the companies Quarries near Bethesda to the shipping port at Port Penhryn, near Bangor, bringing the slate down from the quarries to be dressed and sent for shipment all over the UK via sea, and later by standard gauge rail. 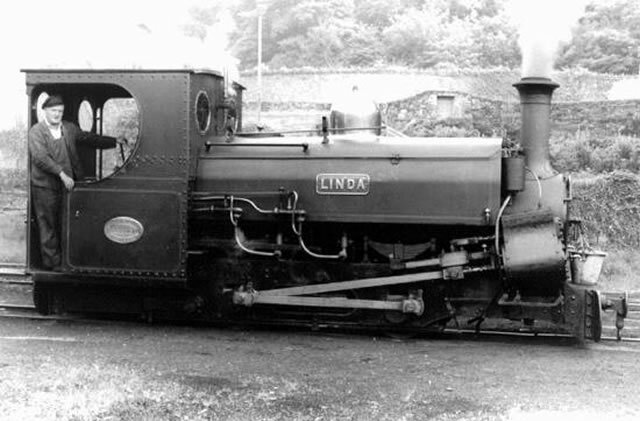 Linda came to the Festiniog Railway in July 1962 along with sister engine Blanche. The engine was originally built as a an 0-4-0ST and the Festioniog Railway added a leading set of wheels to aid stability making it an 2-4-0ST, as well as adding piston valves in place of the orignal slide valves on the cylinders. The third engine in the series of main line engines at Penhryn Quarries was called Charles this is now on permanent loan to the National Trust in 1963 after the closure of the Penhryn 'main line' by Penhryn Quarries Ltd.
Linda is seen here on the main line at Penhryn quarries, I think this is probably a statged picture as the driver is helping add characture to the picture. 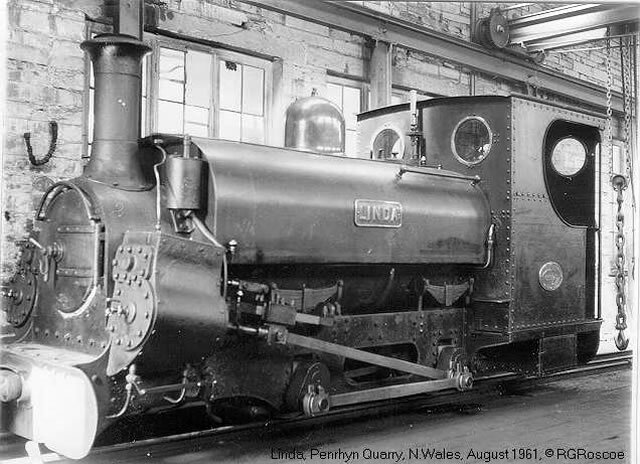 The picture is pre 1965, as the locomotive moved to the Festiniog Railway after this date. 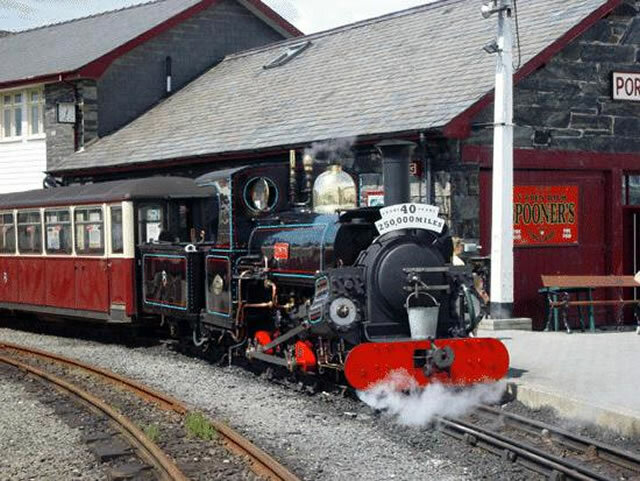 The photograph above shows the engine at Festiniog Railway Harbour Station, waiting to depart up the line to Bleanu Festioniog.